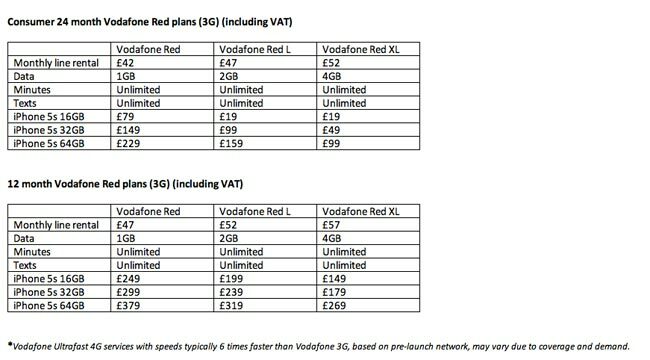 Vodafone iPhone 5S prices and plans have now been revealed, Vodafone will be offering the iPhone 5S from this Friday the 20th of September on a number of their different contracts. 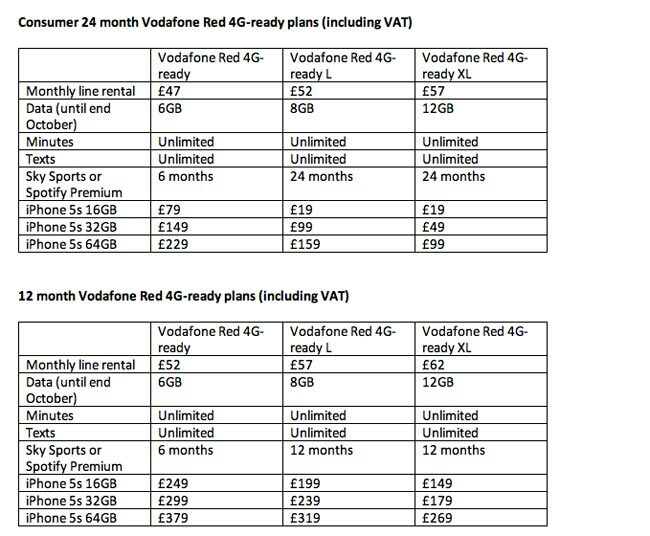 Prices for the iPhone 5S will start at £79 up front on a new 24 month Vodafone Red contract, this contract will set you back £42 per month, you can find full details of all the plans that will be available below. It’s likely that both versions of iPhone will be popular, so any customers unable to get hold of an iPhone on day one will be able to order across all our channels (telesales, online and shops) and we’ll deliver it as soon as stock becomes available again. Vodafone will be offering the iPhone 5S in their retail stores from this Friday the 20th of September, you can find out more details over at Vodafone.